With his sixth release on Ecko Records Jaye Hammer continues to prove himself a superbly Soulful vocalist with a knack for adding his own unique style to each song he sings. His natural ability and downhome delivery are perfectly suited for the Soul/Blues market. 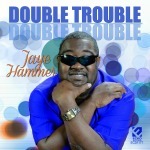 The new release from Jaye Hammer is entitled "Double Trouble" and is set for release on February 1. 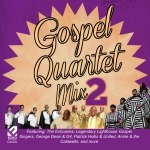 Gospel Quartet Mix, vol. 2 features brand new singles from the Echoaires, the Legendary Lighthouse Gospel Singers, and Gerod Rayborn & the Church Boyz.